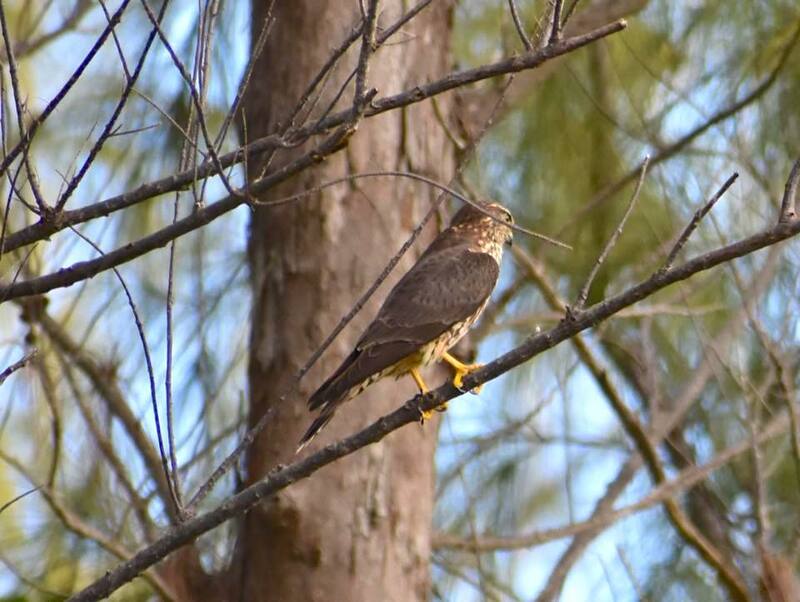 Merlins (Falco columbarius) are fierce small falcons that are fast and agile in flight. 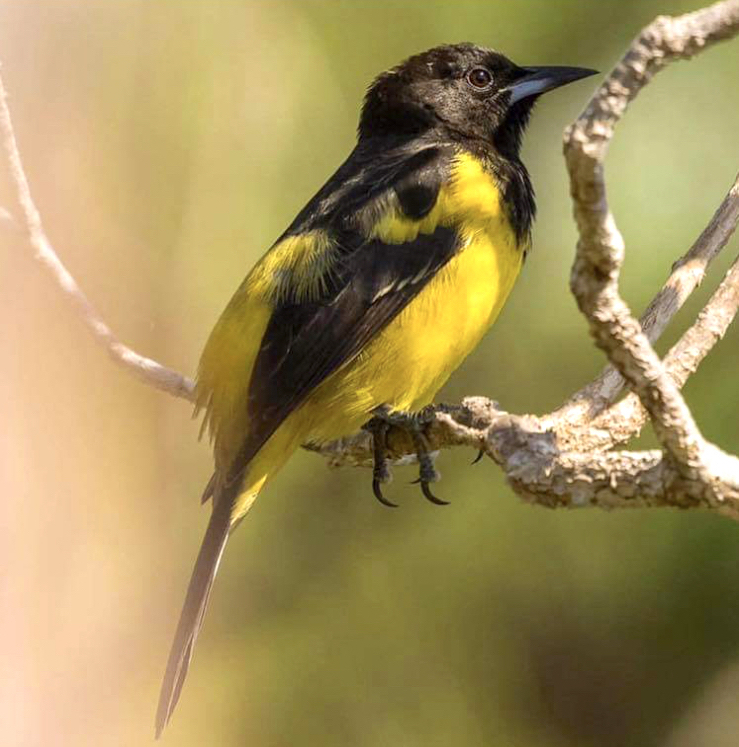 On Abaco, they are fairly common winter residents – though finding one and managing to photograph it may take a bit of doing. And maybe a dose of luck. 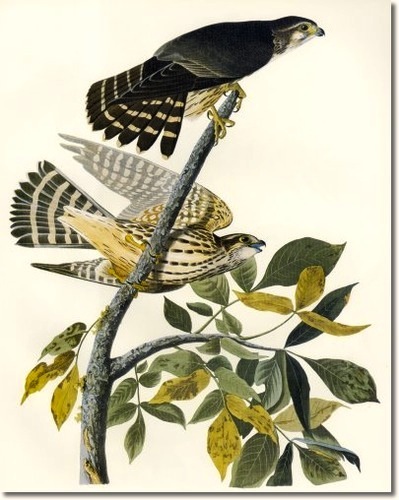 The ‘columbarius‘ part of their taxonomy reflects their colloquial name ‘Pigeon Hawk’. 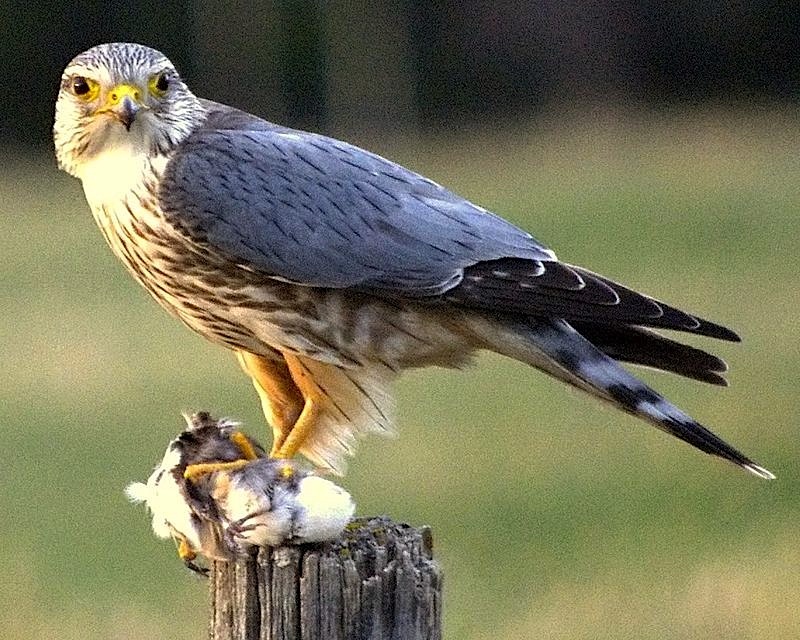 Merlins are found throughout much of the northern hemisphere. They are classified as a New World species and an Old World / Eurasian subspecies, F c aesalon. 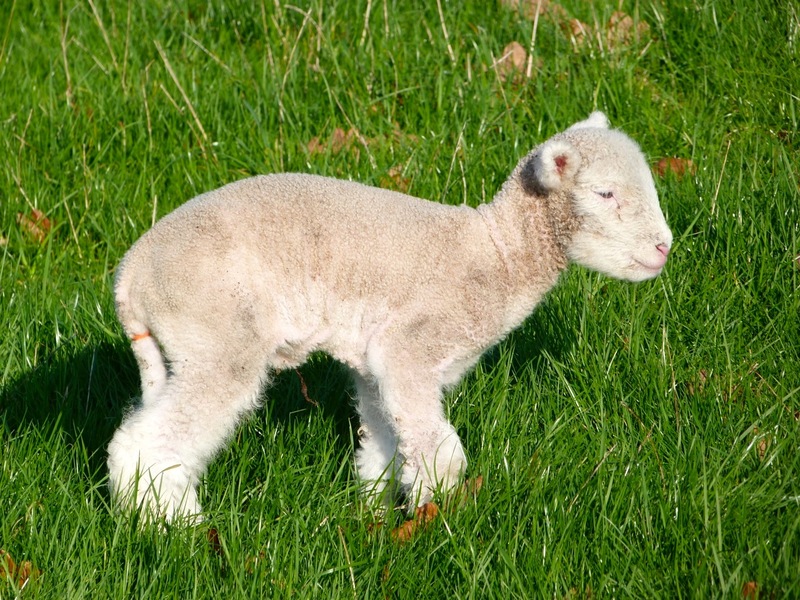 Some argue for two distinct species, the gene pools of the two versions apparently having parted company ten of thousands of years ago. The birds aren’t overly bothered by the debate. 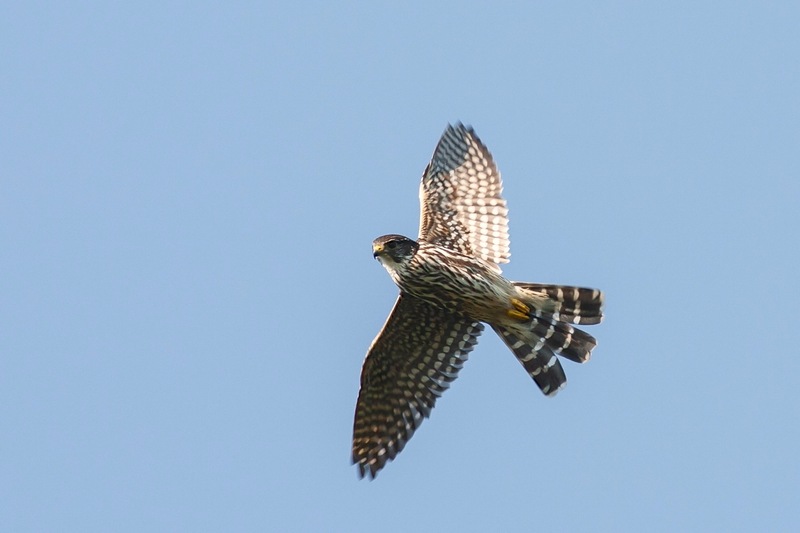 HOW DO MERLINS DIFFER FROM AMERICAN KESTRELS (AMKE)? 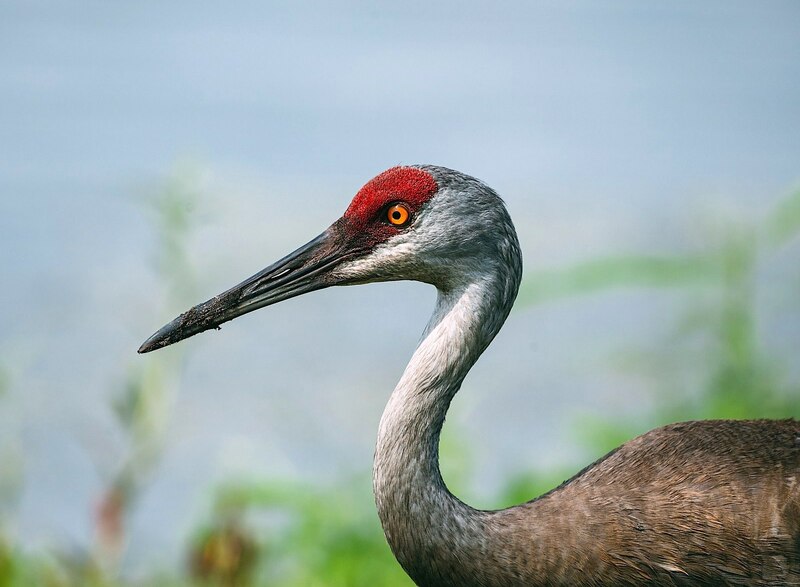 Unlike the AMKE they don’t hover, but close in directly on the small birds that are the main prey, often flying very low to surprise the victim. SO JUST HOW FIERCE ARE MERLINS? Formidable! 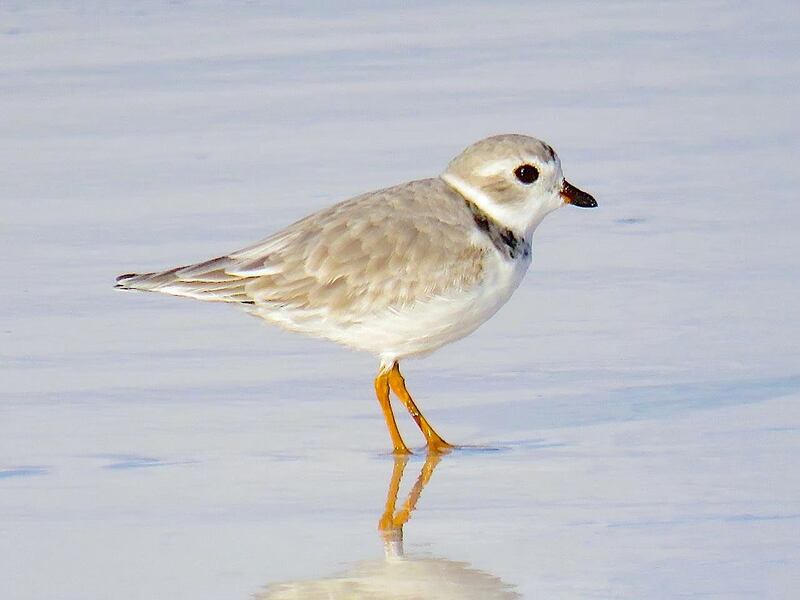 If you are a small or even medium-sized bird, you need to keep your wits about you. Merlins are largely ‘omni-habitat’ within their range, which includes open country, shrubland, light forest, and grasslands. They are fast, agile and strong. They can fly high, at medium height or at ground level, and are expert in surprise attack and rapid pursuit of prey. If you are a large bird of prey – a red-tailed hawk, perhaps – they may attack you with ferocity. They may not actually be trying to nail you, but to get you out of their territory and their catchment area. 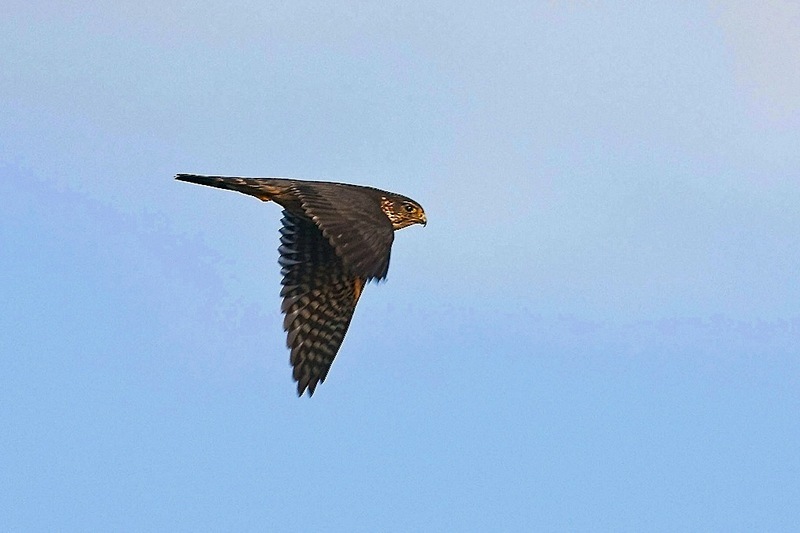 Most of a merlin’s prey is taken in flight, and their speciality is ‘tail-chasing’ terrified birds. 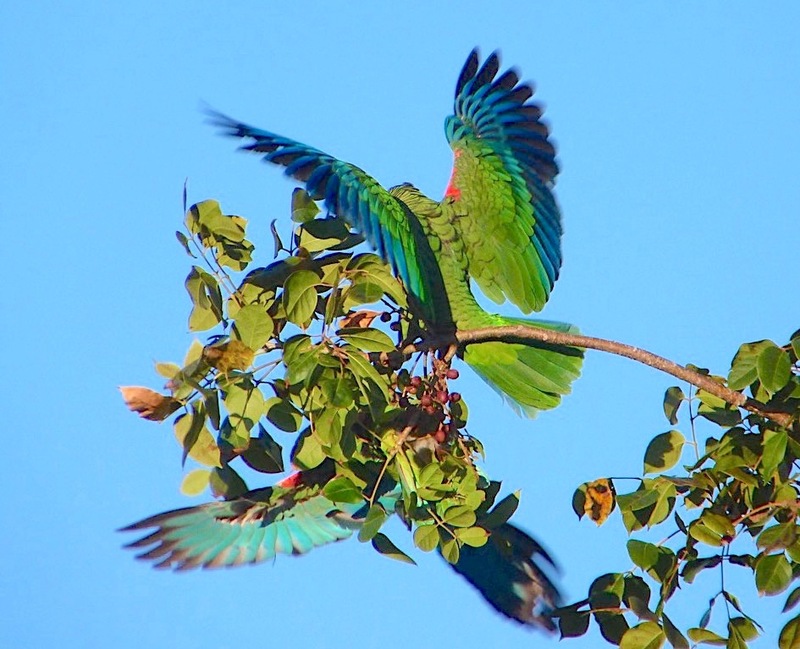 Breeding pairs may hunt cooperatively, with one bird flushing prey from cover into the open for its mate to… well, you get the picture – they are clever too. They may even pursue birds that have been flushed out by another bird of prey in the vicinity. This is a slightly fraught relationship, because Merlins do not always pose as one might wish. Sometimes they are hard to see, being fairly well camouflaged unless they choose to ‘go out on a limb’. This photo (2017) was taken on Elbow Cay (north end) by Jan Purdy Hulme Metcalf‎. 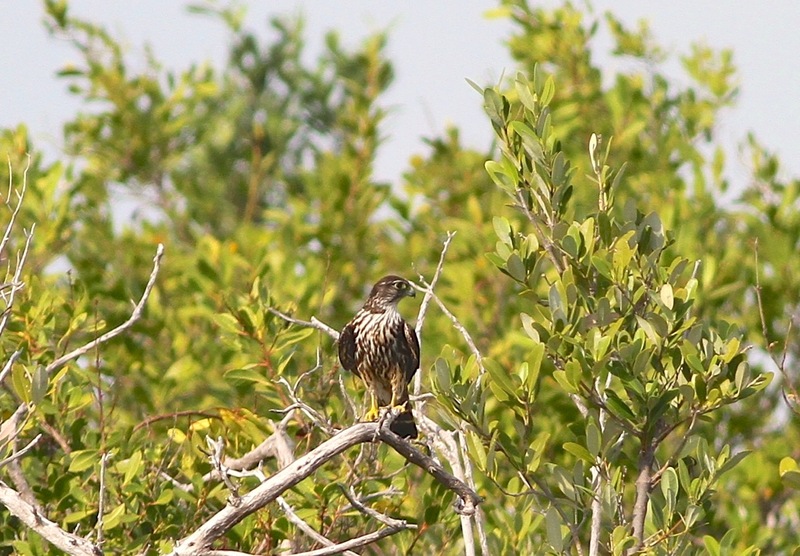 It’s the first merlin photo from one of the Cays that I have come across. Merlins were popular birds in medieval English falconry, and according to the 1486 Boke of Seynt Albans, the ‘Marlyon’ was considered the appropriate hunting bird for a lady. 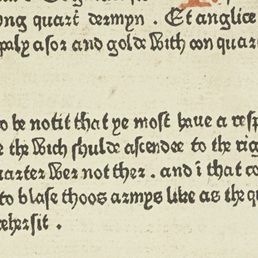 This book contained an essay on hunting attributed to Dame Juliana Berners, the prioress of a Priory near St Albans, who, game lady that she must have been, also contributed to one of the earliest treatises on fishing, ‘Fysshynge wyth an Angle‘ (hence, angling). While reading up further about Dame Juliana, I came across (wiki-tnx) a wonderful ranking for birds of prey matched to status that I hadn’t encountered before. Here’s the list, from Emperor to Knave / Servant. A Tercel was / is a male falcon, especially a Peregrine or Gyrfalcon. A Musket is a sparrowhawk. Merlins are still trained for hunting smaller birds; and because of their speed and agility they are used in falconry displays. 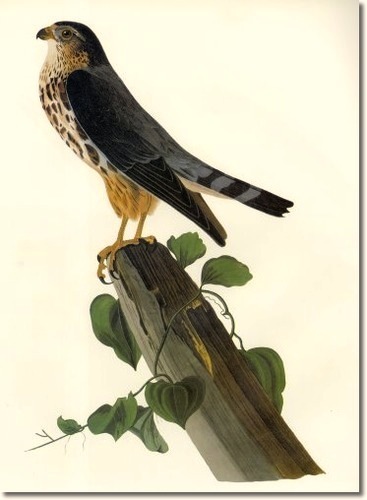 Despite changing habitat, and a perceptible dip in population from the use of pesticides now banned (such as DDT), the Merlin seems to be holding its own very well 5 centuries after the Boke was written. 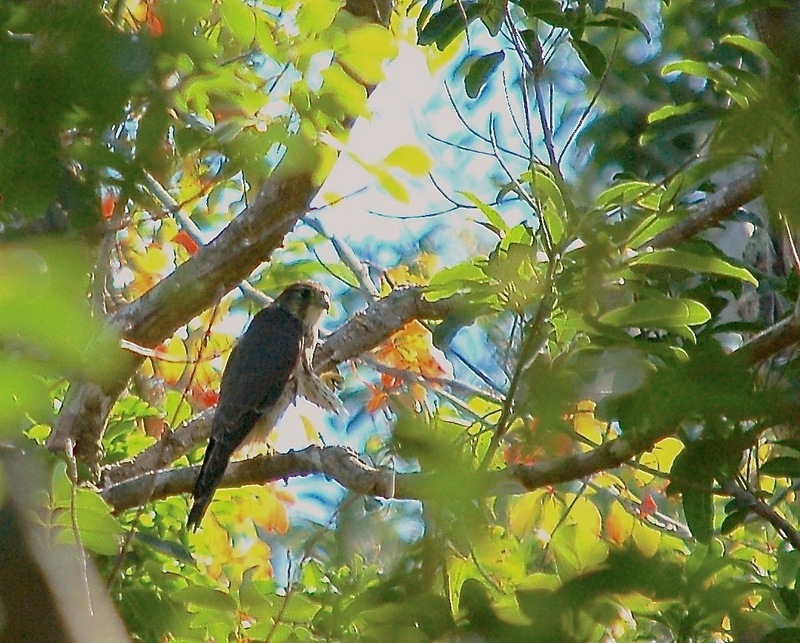 This entry was posted in Abaco, Abaco Birds, Abaco Wildlife, Bahamas Birds, Birding Abaco and tagged Abaco Birding, Abaco Birds, Abaco Wildlife, Bahamas Birds, Becky Marvil, Boke of Seynt Albans, Craig Nash, Dame Juliana Berners, Falco columbarius, Gerlinde Taurer, Merlin & American Kestrel, Merlin Abaco, Merlins Medieval Times, Pigeon Hawk. Bookmark the permalink. Think I like the merlin for its name alone and the seventh photo down is my favourite, the bird looks quite magical. Arthurian legend RH, not that Hogwart stuff!